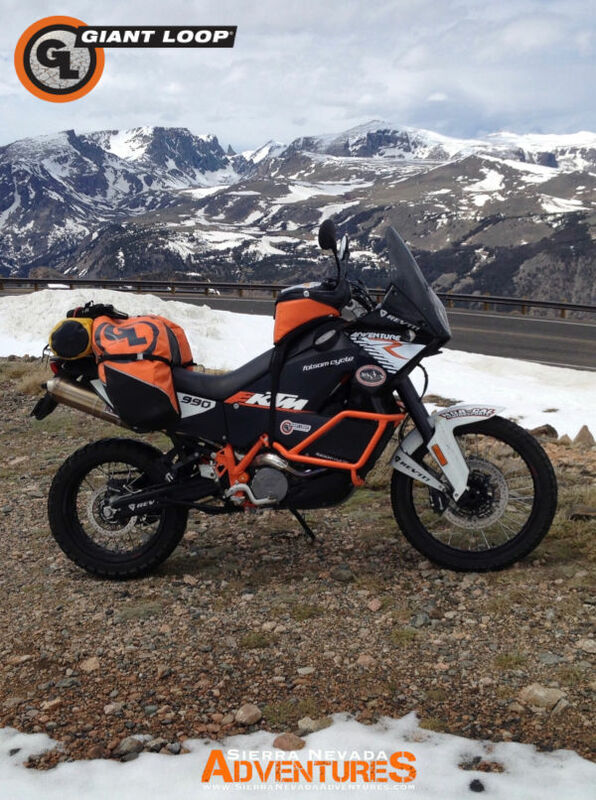 Giant Loop’s made-in-USA products are ultra-lightweight and extremely durable packing systems designed for hard-core dual sport adventure touring. I’ve had the opportunity to test a variety of Giant Loop gear in extreme conditions from cold, hot, rain, wind, hail and snow and I’m happy to report Giant Loop gear performs extremely well in all conditions. Giant Loop gear is ultra-light and extremely durable. The huge advantage with Giant Loop gear is the unique design that wraps the load around the motorcycle subframe, placing the load exactly where engineers intended for bikes to carry weight. This unique design allows the suspension to perform better than heavy panniers while exploring off-road adventure.